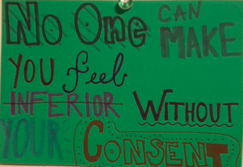 On Wednesday, October 17th, APO held its fourth “Stand Against Sexual Assault” tabling event. 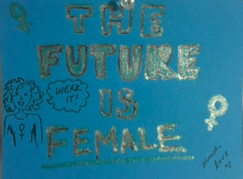 Thank you to Maddie Feldman, Kat Ratner, Olivia Goosay, Nikola Kanaris, Devyn Ottman, and Valerie Kong and all the folks that came to the “Let’s Make Empowering Quarter cards” fellowship for helping out! 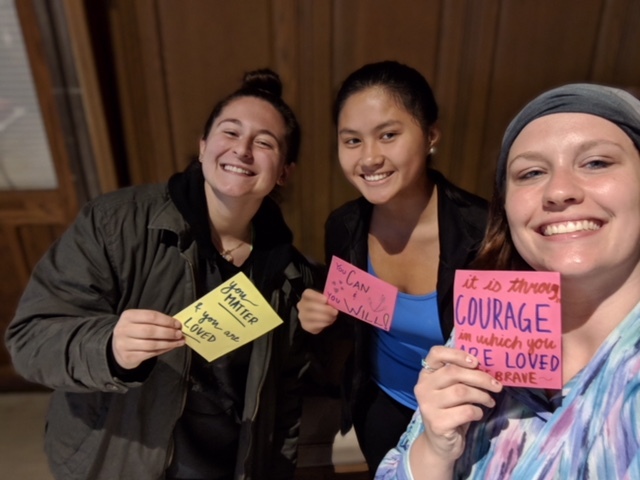 During the event, these lovely lady brothers handed out empowering quarter cards and information about the prevalence of sexual assault and resources for survivors on campus. This project was founded to remind survivors (and women in general) of their power. We are all beautiful, strong, intelligent, vivacious, resilient beings, but sometimes we need a friendly face and an affirming note to let us know someone cares. Whether survivors choose to tell their story and seek help, or not, it’s important for them to know they are valued and supported. I am also a strong believer in the power of a cute doodle, personalized signature, and a little glitter marker magic to make the message extra special. 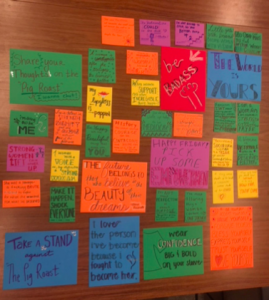 In addition to empowering quotes, we tried something new this time around. On the back of each card, we wrote the phone number for the National Sexual Assault Hotline service*, which I’m hoping will make our QC recipients feel more supported and further spread the purpose of our project. I’d like to reiterate once more that I am incredibly proud of what this organization can do. I have received wonderful support from the brotherhood for this project, particularly as our nation (and campus) becomes more familiar with sexual assault as a devastating societal issue. And again, to all the brothers that helped with this event, confidently standing up and (literally) reaching out a helping hand to their fellow woman: thank you for making my heart sing!